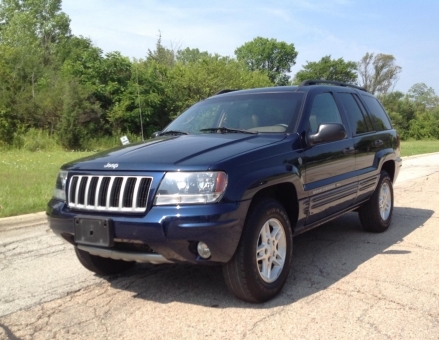 This 2004 Jeep Grand Cherokee Laredo 4X4 is a midsize SUV with a strong 4.0 liter V6 engine, 4WD, and a nicely appointed interior with beige leather seats. This edition has been well-preserved and well-maintained. The seats and carpets are in very good condition. The Laredo has rugged good looks, classic styling, capable handling, and has true off-road ability. Options include a sunroof, power seats, windows, mirrors, locks, alloy wheels, Goodyear tires, dual climate control, heated seats, memory seats, roof rack, AM-FM stereo with both cassette and CD player.